HBomber's Twitch stream truly did, for one magic marathon gaming session, have it all. Alexandra Ocasio-Cortez, Donkey Kong, Twitch streams and trans rights. 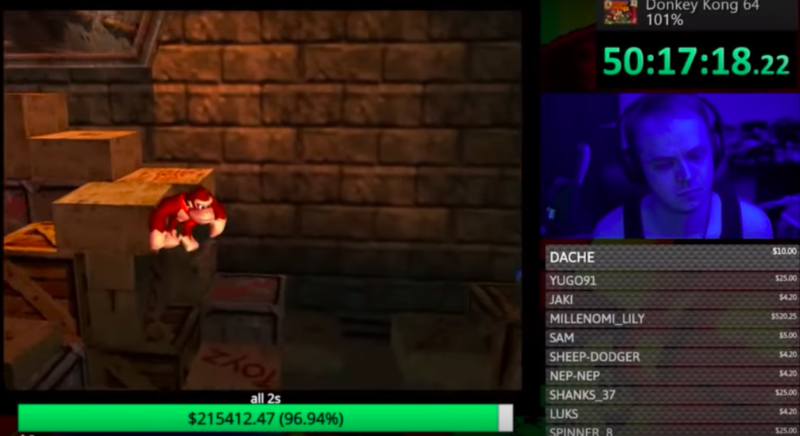 Truly the political landscape is at long last dedicated to the issues I care about (trans rights) in the format I want to hear about them (Donkey Kong based), and it all dovetailed together when Alexandra Ocasio-Cortez called into HBomber’s Twitch livestream of Donkey Kong 64 to discuss trans rights as a response to two garbage people I hate. What a treat. Check out the stream here. lord knows i've been wrong on twitter before but never so wrong that people raised like $340k about it. rarely has a twitter user been so owned as graham linehan. It’s true. Rarely has anyone been as wrong on Twitter as Graham Linheman who seems to have spent the last year and change for some reason running an absolutely bigoted — I’m talking Fred Phelps level bigoted — campaign against transgender rights. The man, who once created such British sitcoms as The IT Crowd and Father Ted, and who now wastes his life trying to cause harm to others, was outraged when he heard that the U.K.’s National Lottery gives money to Mermaids, a charity which helps transgender children, went on a message board called Mumsnet and demanded that people e-mail the page en masse so I guess the page can know they’re a bunch of transphobes. 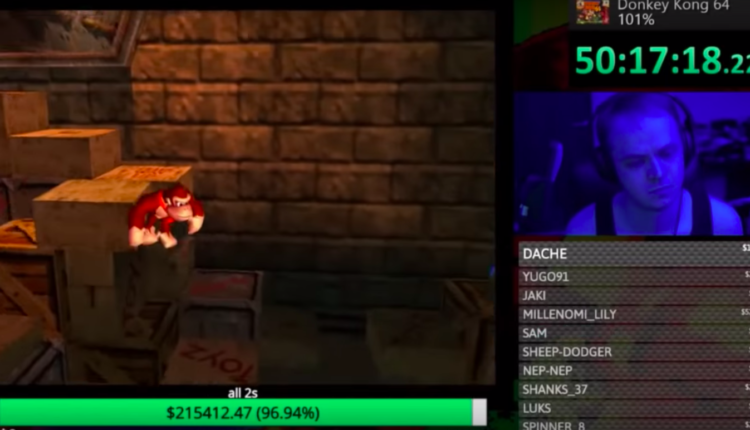 Either way, the donation is now under review, so thus enter British Twitch streamer HBomber who has announced in a YouTube video that he will try to 100% Donkey Kong 64 on Twitch non stop to raise money for “Mermaids” himself, to fight back against the disgusting transphobia the people involved in the e-mail campaign showcased. 100%ing something means you accomplish everyhing in the game top to bottom, which in this case means raising money for a transgender organization. HBomber’s video is very fun, watch it below. The stream has been going on for 65 hours now and can be watched here. At one point Alexandra Ocasio-Cortez called in, in a response to Aaron Sorkin going on CNN and saying Democrats have to stop focusing on transgender bathrooms, which is only something a stupid baby boomer who has never met an actual transgender person would say. And hey. Here she is! It’s Alexandra Ocasio Cortez! The entire feed is beautiful and brilliant, and dedicated to being pro transgender rights and progressive politics — something you don’t always see gamer culture involved with. The video is brilliant and incredibly educational when it comes to transgender right. Good on Alexandra Ocasio-Cortez for actively engaging with marginalized communities on a level beyond preaching at them, and also to her for supporting Donkey Kong and his quest for the banana horde. Check out parts of Alexandra Ocasio-Cortez’s thread below. And as a plus… thanks to Alexnadra Ocasio Cortez… Donkey Kong is now a trans ally! Thank you Alexandra Ocasio-Cortez, Hbomber, Mermaids and of course… Donkey Kong. You can donate to Mermaids here, and check out HBomber’s feed here. What do you think of all this glory? Let us know in the comments or on Twitter at @WhatsTrending.